I have posted about SysExporter a few times before, but here is a little reminder… You can use SysExporter to grab text from almost any dialog box in any program in Windows. 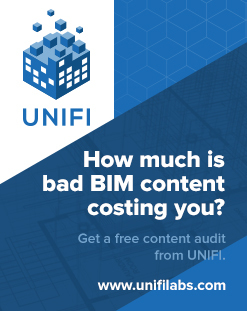 Let’s say you have a list of missing materials in a Revit Render dialog box. 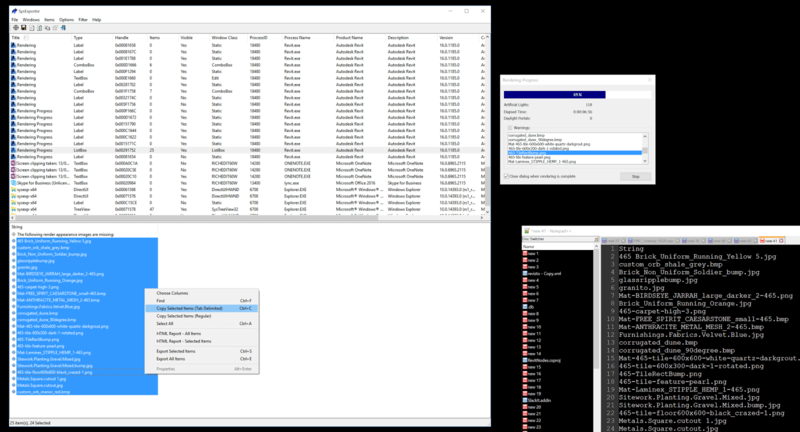 You can use SysExporter to grab that list so you can find the material images and rectify the problem. Find the missing materials and point your Revit install at them using the Render Appearance Paths in Revit Options. Unzip the zip file. The ZIP contains a DeleteStandardMaterials folder with two subfolders (AddIn + Source). 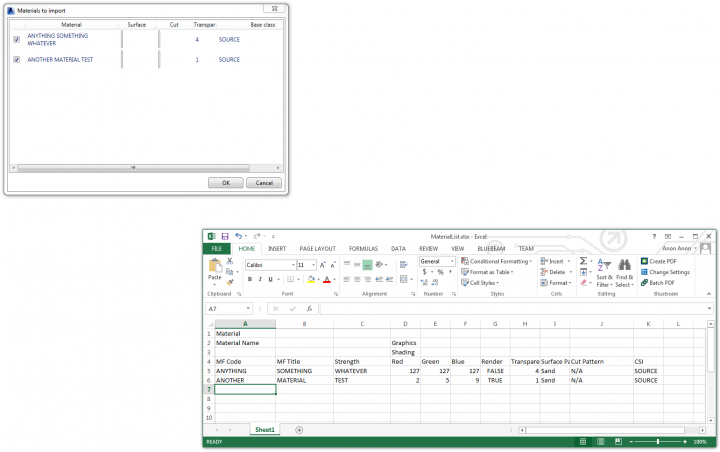 Open Manage / Macro Manager / Application tab: The macro “DeleteStandardMaterials” appears under the Application tab. Select “Execute” and start the “Run” command. > The standard materials are removed. 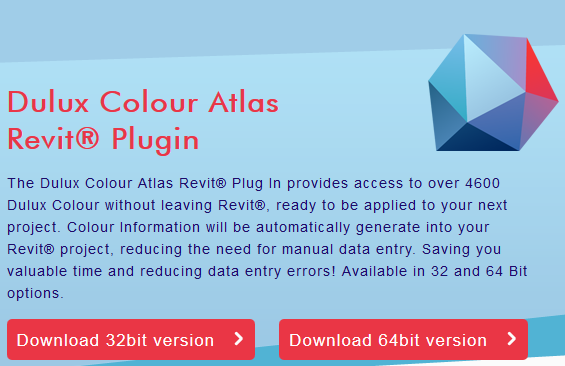 as well, because Revit will freeze. 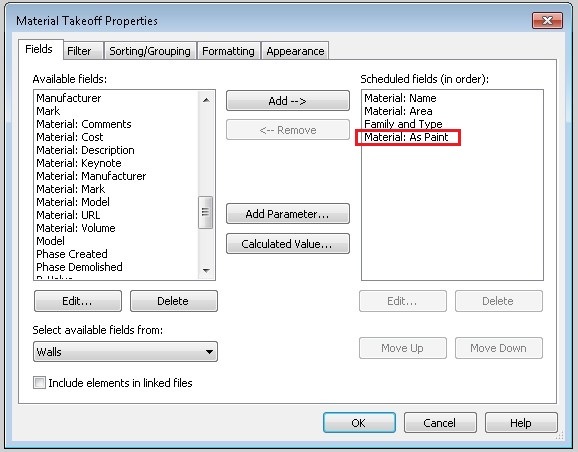 We have seen this most commonly when editing titleblock familes in the German and Japanese version of Revit. Extract the zip file: It will contain a DeleteStandardMaterials folder with two subfolders (AddIn + Source). Select here “Execute” and start the command “Run” > This will delete Standard Materials. 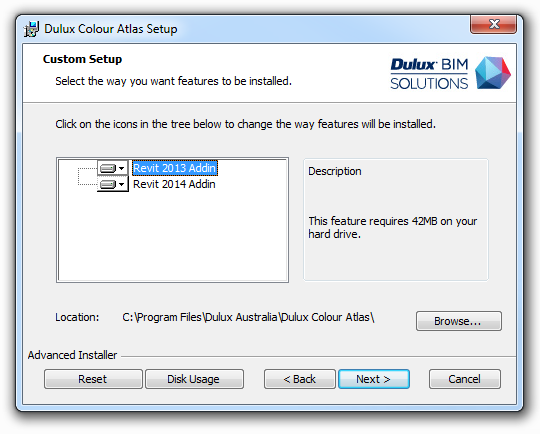 After these steps use Save As to save the file with a new name. Be Revit – Do Family Planning: Revit streikt / Datei wird immer größer und reagiert nicht mehr? 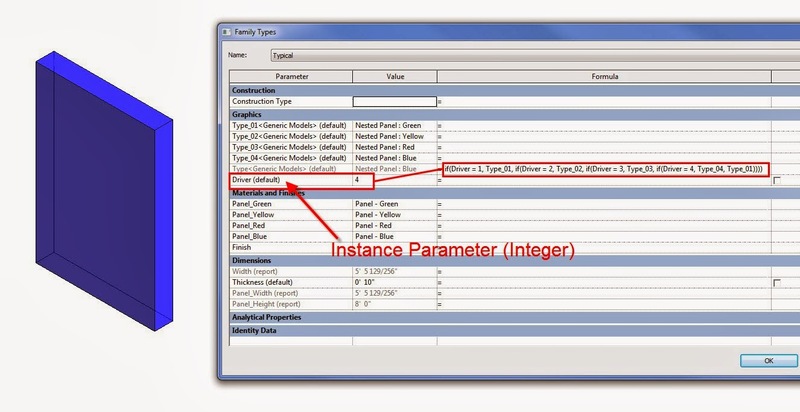 the addin will copy an existing material from the CSI column as the ‘base’ material, and then modify the other values accordingly. Therefore, there must be a source material in place. 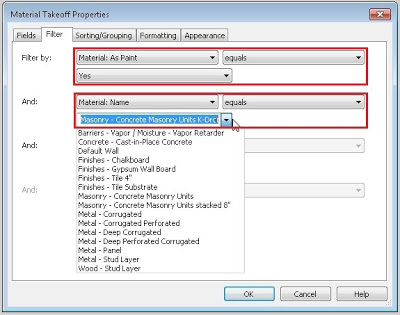 Similarly, the Revit project file will need Surface and Cut patterns with the appropriate matching names already in the file prior to running the addin. The addin won’t import new Cut / Fill patterns into the project for you. I posted about Randomizer a while back. 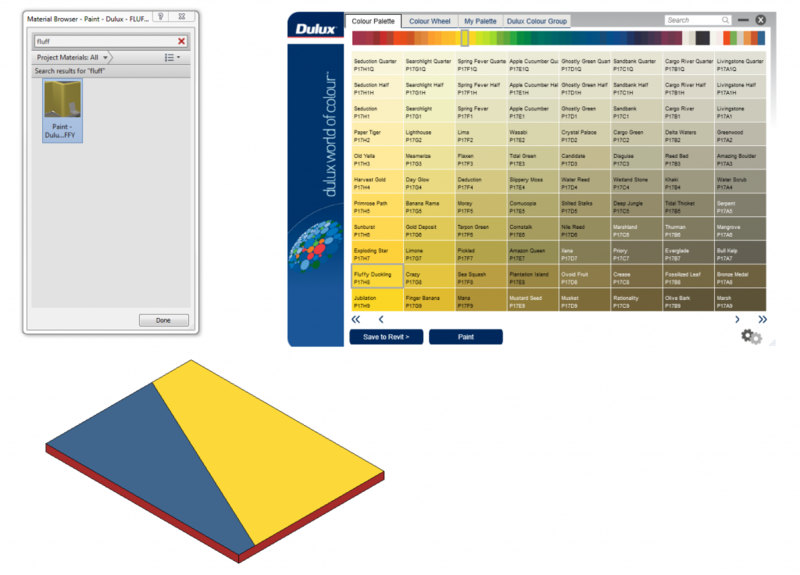 I have since seen it used to randomize the colour of panels. One way to do this is to use a integer or numeric Shared Parameter and View Filters (ie. randomize from 1 to 5, have your View Filter apply Red to 1, Yellow to 2 etc). However, could this principle be applied to change the actual Material too? helps users search materials from project document and delete them with a single click. The search condition supports logic “and” (& or &&) and “or” (| or ||) to make the search more efficient. Think of a material as a container. Some of the information represents elements you can touch and see when the building is complete, while some does not. Assets are modules, if you will, that better define a material. 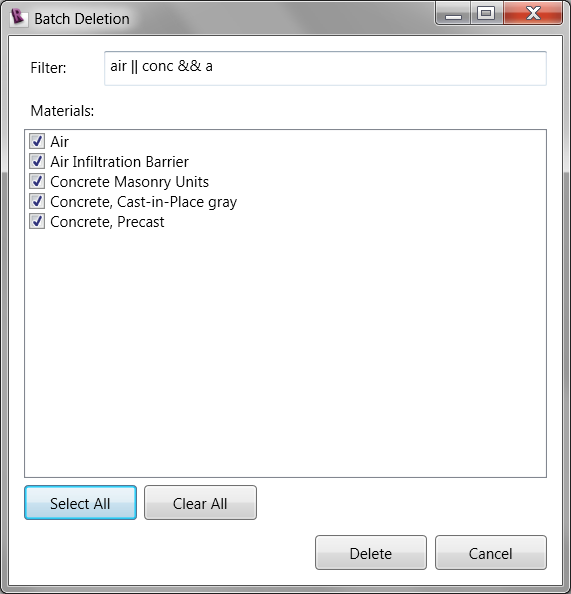 These modules are optional and can be added or deleted as needed; however, most materials have an appearance asset, which cannot be deleted. In any elevation view, materials are not transparent, as you can see in the left-hand image below (regardless of what Visual Style is set to). Even turning off the glass material in a view’s Visibility Graphics Overrides (VG) will not allow you to see through the “opening,” as seen in the second image. The trick here is to edit the opening in the family so it is transparent in elevation, as shown in the third image. 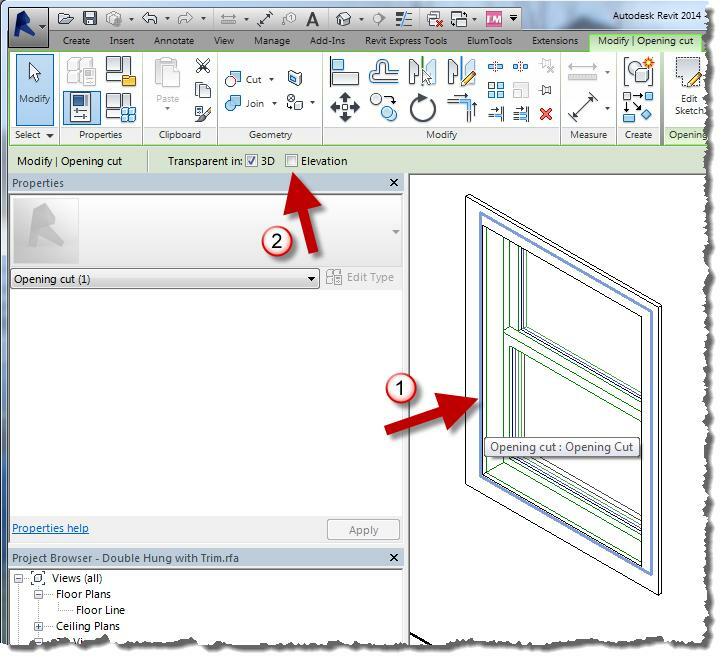 To achieve that, simply select the opening and check Elevation on the Options toolbar. A surface with a self-illuminating material will actually add light to a scene. 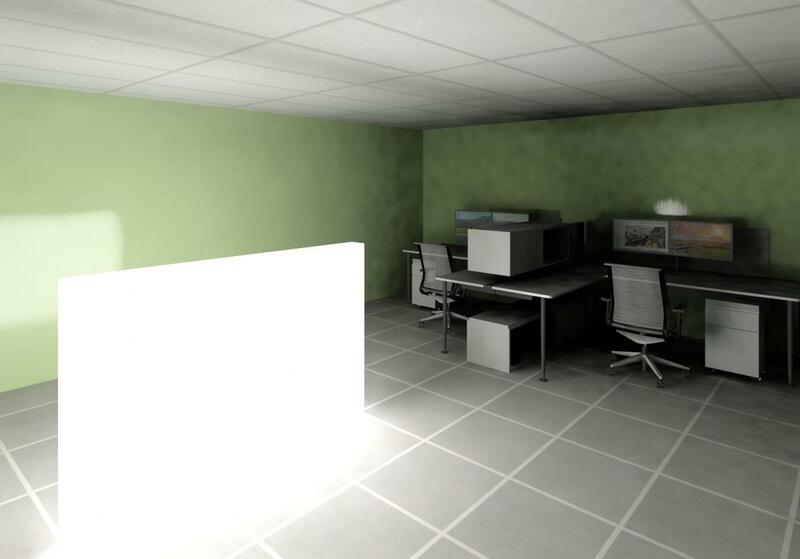 In the image below, the self-illuminating low wall in the center of the room is the only light source. This material can also be used to get a very white surface when nothing else seems to be working. 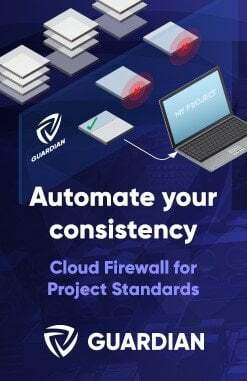 From here, you can right click on a row in the Schedule and click “Show” – this will open a relevant view and highlight the element that is hosting the Split Face. Nice! 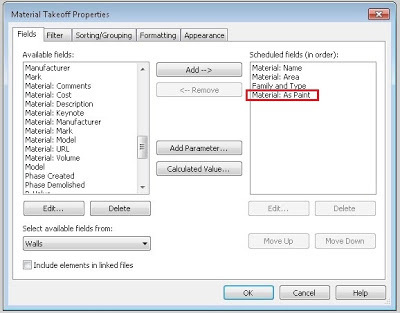 Next window allows me to add fields to my schedule, I then notice there is a field/parameter called “Material: as paint”. Sounds like something suitable in this occasion. 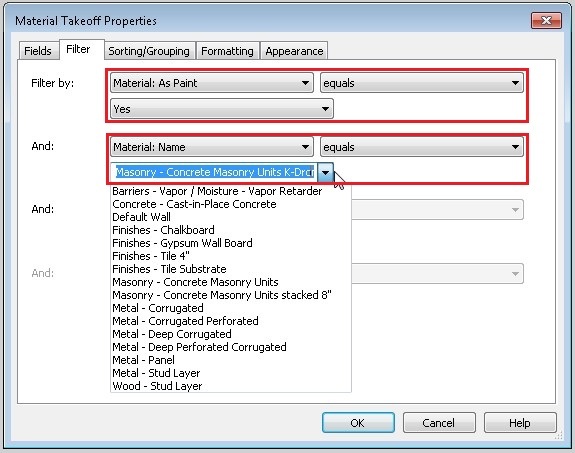 I can now set the “Material: as paint” to equal to “Yes”, which means I tell Revit that this schedule only look for the “Paint” surface on all walls; the next filter rule, I can even set it to a specific material to be included in this schedule. The last thing is to tell Revit to calculate total area for this particular material. Once this is done. Volia! I can now let Revit to keep track on all my “paint” surface. Ever noticed how the Graphic Surface Pattern of a Material will override a Walls surface in a Realistic (ie. 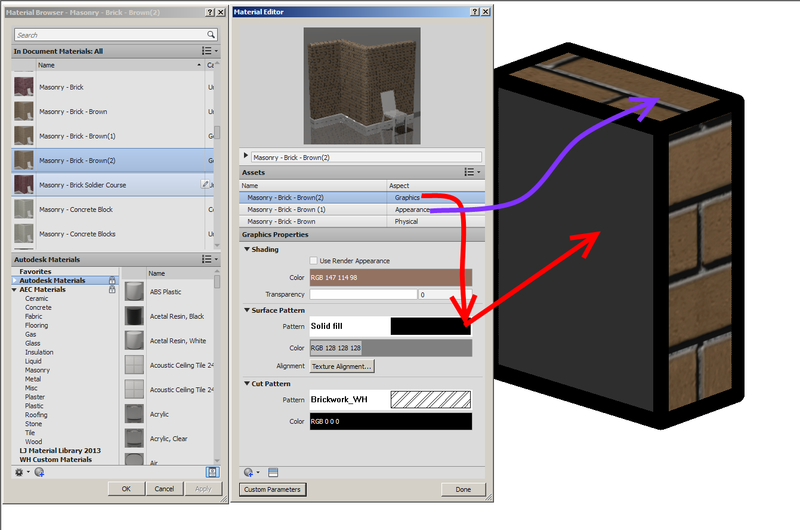 materiality / render check) view, but not the edges? Firstly, I don’t think Graphics values should affect Realistic view at all. Secondly, it should at least be consistent: either override wall faces and edges, or don’t override at all, yeah? Anyone know if this was fixed in 2014?